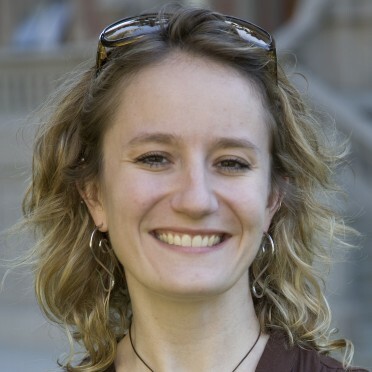 danah boyd | apophenia » Participatory Culture: What questions do you have? Henry Jenkins, Mimi Ito, and I have embarked on an interesting project for Polity. Through a series of dialogues, we’re hoping to produce a book that interrogates our different thoughts regarding participatory culture. The goal is to unpack our differences and agreements and identify some of the challenges that we see going forward. We began our dialogue this week and had a serious brain jam where we interrogated our own assumptions, values, and stakes in doing the research that we each do and thinking about the project of participatory culture more generally. For the next three weeks, we’re going to individually reflect before coming back to begin another wave of deep dialoguing in the hopes that the output might be something that others (?you?) might be interested in reading. This often gets understood through the lens of “Web2.0” or “user-generated content,” but this is broadly about the ways in which a networked society rich with media enables new forms of interaction and engagement. Some of the topics that we are considering covering include “new media literacies,” “participation gap” and the digital divide, the privatization of culture, and networked political engagement. And, needless to say, a lot of our discussion will center on young people’s activities and the kinds of learning and social practices that take place. So what do *you* want us to talk about? 38 comments to Participatory Culture: What questions do you have? I’m interested in the intersections of law/policy, participatory culture, and particularly how these ideas are (not) transmitted to new generations. Take as your paradigmatic case Emily White (http://www.npr.org/blogs/allsongs/2012/06/16/154863819/i-never-owned-any-music-to-begin-with) the NPR intern who confessed to having 11,000 songs she had not paid for. Now, Ms White isn’t herself a creative artist so perhaps this isn’t precisely participatory culture but can we take it as given that if Ms White blogs about her doing this that her peers are also doing it? In particular, we would expect that the generation of teen and just-post-teen younger people are likely engaged in this behavior, as they participate in remix, filk, and other participatory music cultures. The question I pose is something like “what are the behavioral models, with what legal understandings, have Ms White and her generation absorbed and how does that affect their behavior within participatory cultures?” I think that legal/regulatory frameworks are one of the main means that established cultural authorities try to use to influence the behavior of new participants and Ms White’s admission looks to me like a total failure of established authority. This is (to me) different from other ‘skirting’ or other edging-around-the-law behaviors that people who view participatory culture as transgressive have adopted in the past. See, I told you it wasn’t simple. In the interest of reaching a wider audience it might be worthwhile to contextualize the concept of a “participatory culture” by reference to other initiatives in academia that are researching similar social phenomenon. For example political scientists have been tracking the tensions between Liberal and communitarian ideologies in American thought at least since Toqueville started writing about them in Democracy in America. These ideologies play a defining role in shaping the American psyche and how we view the relative virtues of consumption, production and social participation. Similarly American historians have been tracking the development of consumer culture (and it’s effects on various forms of civic participation and production) since its inception at the tail end of the 19th C. They too are interested in how changing attitudes toward consumerism are rebalancing American identity. How can an investigation of participatory culture inform these longstanding research initiatives in the university? And how in turn can these more traditional investigations help inform the exploration of participatory culture? wow! I am really looking forward to read this dialogues between the three of you, one that is being taking place for a while now in the minds of many of us (and yours, I guess) . Among other things, you can address on the diferences between the perspective of the practice with social and digital media from the genders of participation point of view and from the core media literacy skills that Jenkins propose; the methodological challenges of research the learning process in this practices and the factors that make possible for some young people to engage in highly skilled practices while others remain in the friendship zone (as was described in hanging out…) In this last point, I think the focus is done in motivational factors and that little atention was paid on sociocultural determinations that configurates the identity, like etnicity, gender or social belonging. And finally, I think you need to respond to those critics that say you sometimes fail to recognize the real power of agency of the cultural industries in the configuration of new practices whith social and digital media. Thank you for asking, it is a great oportunity! My biggest struggle, as I try to lead large organizations from a consumer model to a participatory culture, is the distrust that Boomers have for Gen X & Y and vice/versa. My question is around that; how do we build trust between boomers and younger generations? When we talk about participatory culture, my question is: How many people do participate in virtual communities? According to some kind of data, in many UGC websites, 20% users generated 80% contents. So if there is a participatory culture, what’s the inner structure? As you observe, participatory culture is often conflated with “web 2.0”. The web is still an environment the privileges computer programmers. To what extent does the need to program limit participatory culture? Is the programming privilage fundamental (most-effective contribution of user content requires programming) or a historical accident (contribution would be possible without programming, but the programmers/creators of the contribution infrastructure didn’t think it was important to support that)? As a teacher educator and one who spends a lot of time reviewing various school/district social media policies internationally, I would love to see someone address ideas around how we can prepare students for participatory culture when there are still such conservative attitudes in schools around what is allowed (e.g., web filters, mobile phone bans, etc.). In particular, we need supporting research that would encourage school admins/teachers & parents to lobby for and/or support curricula around current changes in media. This is a terrific topic and I’m very eager to see/hear/read your output. I’m curious about power in organizations trying to become more participatory: how can those in charge allow other voices to speak without acting on their very real feeling of being threatened? I’m also curious about the wisdom of crowds. Does a crowd have any wisdom? Or is it just wise individuals within the crowd? Also: what happens when we interact? Is there something that sparks in us when we communicate that generates a new thing that benefits all participants? 2) Qualitatively, how do they see themselves in relation to existing cultural industries – who/how many/what kind of them see participatory culture in any way as a gateway to ‘mainstream’ culture and/or fame on a more than peer level. I’m not a researcher, but I build online platforms and communities and whether creating a transmedia world for kids, mentor matching or teaching kids to program, the engaged parents are the ones that I see making the most impact. They are the ones paying for the online subscription, signing the parental consent form or driving their kid to an event. What I struggle with is figuring out what I can do to convert parents from being a chauffeur to a participant. I understand that kids don’t always want their parents to hangout, but I saw a spark of something when we run programming classes for really young kids and their parents had to be there for legal reasons. Some of the timid parents that were hanging back saw their 5 year olds animating a character and wanted to try it too. Those parents were the ones first to signup for subsequent classes. Those are the parents that are going to support the next generation of girls in tech. Why are some parents more engaged in their kid’s interests than others? I don’t believe it’s a demographic or socioeconomic problem. Is it that we need to create an environment where they don’t feel intimidated to learn something new? I’m curious to see, now that we’ve had a generation who’ve grown up with this environment for much of their lives, what this means for how they’re conducting the next phase of their lives: approaching work, etc. I would love to see analysis of the impact of participatory culture on introverts. As per Susan Cain’s work (described here: “http://www.scientificamerican.com/article.cfm?id=the-power-of-introverts), our culture has an extroversion bias, and introverts are subject to psychologically-damaging pressure to try to pass as extroverts — it seems to me that the growth of online participatory culture compounds that even more. So to what extent are introverts disenfranchised, marginalized, or subjected to emotional pressure by participatory culture? What impact does that have? Can some of the benefits of participatory culture be maintained through mechanisms less distasteful to introverts? – The blog/comment medium. danah knows me well and is probably shocked to see that I’m posting a comment on a blog. I really don’t like posting to public forums. danah is good enough to include an “email” icon, but many don’t — the expected norm is that one participates by public commenting. Even danah’s icon is wedged between a whole bunch of twitter/facebook/etc icons that I just glaze over, so i almost didn’t see it. – An old friend from college, living on the other side of the country, had a stroke. But I didn’t find out for over a month, because his family announced it on facebook and figured all his friends would find out that way. Which left me feeling like a heel in that I didn’t offer to fly out and help which i gladly would have done, nor did i even phone up and express my sympathies. By not using facebook, i missed out on important news, and i tacitly sent a message to my freinds’ family (who don’t know that i don’t use facebook) that i didn’t care about my friend’s wellbeing. – More and more, online transactions encourage you to “log in using facebook”, or “share on facebook”, “tweet this”, etc. Yes I can ignore it, but feels like ongoing minor harassment. Occasionally, “log in using facebook” is the only option. Are there or will there be classes in school that require students to use facebook? – It’s encroaching on what otherwise would be solo activities. I play solitaire Scrabble on my iPhone. They just released an update, in which each time you get a “bingo” it prompts you to share it on facebook (no thanks) — and at the end of each game it pops up a dialog saying “that was ok but for real fun play online with your friends!”, which my grumpy reaction is “no, if i wanted to play with friends i would have”. which intrudes on my peaceful mindset and diminishes the quality of the alone-time experience. I find ironic that as per points 1 & 2, part of participatory culture is to encourage creativity; whereas according to some claims, the most creative people in many fields are usually introverts who, if they are like me, find participating in participatory culture a “turn-off”. I’m interested in the extent to which participatory culture promotes social bridging vs. social bonding. 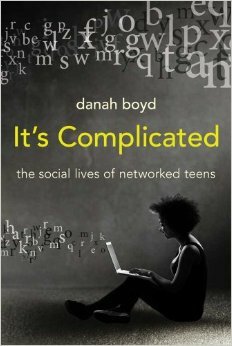 Danah has written some about the problematic reinforcement of bonding as opposed to bridging engagement among teens online, but I’d love to learn more about this for different age groups and in different venues. I work on participatory projects in physical spaces (museums, public space), and I’m always seeking frameworks in which to understand whether our designs are bringing people together across difference or reinforcing differences. I may be useful to many if a distinction between “particapatory culture” and “culture” were made . I’m thinking of Shirky’s critique in Cognitive Surplus, where he argues that culture cannot be culture without some form of participation. Of particular interest would be some definition that doesn’t necessitate a discussion about television or comparison to other medium(s). I may be useful to many if a distinction between “participatory culture” and “culture” were made. I’m thinking of Shirky’s critique in Cognitive Surplus, where he argues that culture cannot be culture without some form of participation. Of particular interest would be some definition that doesn’t necessitate a discussion about television or comparison to other medium(s). My personal interest in the connection between informal civic participation online and more formal democratic participation. I think with respect to participatory culture I have a question as to how participation online relates to participation offline – to what extent do behaviours in these two contexts relate to and influence each other. If we frame discussion in terms of the network society I think we can see online and offline effects – I am less certain about the relationship in a discussion of participatory culture and would be fascinated to hear you debate this. I’d very much like to see a study of how participatory culture crosses national and/or language boundaries, including the long-standing role of fans in providing free translations of media (books, live-action and animated television shows and films, manga/manhua/manhwa and other graphic novels) where commercial translators do not regard the potential market to be large enough to formally acquire the translation rights. The legal issues surrounding fan translations have often been less than clear, in some cases allowing companies to take and adapt these translations without providing either production credit or financial compensation for the work that the fans have produced. The legal issues surrounding participatory culture are often difficult to navigate, but this is one example that might prove useful as a starting point for further study. I’m very much looking forward to seeing your work, and would be glad to help in any way I can! “Participatory culture” challenges traditional media wherein, authors were known, payment given and copyright maintained a status quo. In the western tradition and in high culture, authorship ensured ownership. The two way interaction encouraged by participatory media, where introverts/subverters/diverters can hid behind a fictional persona, changes the game associated with authorship, copyright and (intellectual) property. In the West, in our schools and universities, it is tremendously important to be scrupulous about ‘sources,’ perhaps to maintain the payment structures and to know who to punish. The Openness Movement responded to pressures of ‘non-participatory’ media not fitting with participatory media. cMOOCs (connectivist Massive Open Online Courses)harness participatory media to reinvent university making knowledge and therefore power accessible. I’d love to see you three revisit the new sociology of youth and childhood. 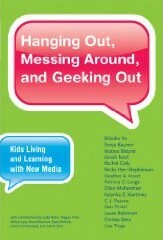 You, Ito, et al, referred to it in the introduction of Hanging Out, Messing Around and Geeking Out as “foundational” to your work, describing it this way: “The new sociology of childhood sees that children are active, creative social agents who produce their own unique children’s cultures while simultaneously contributing to the production of adult societies.” I know your exploration, here, isn’t limited to youth but, where it does touch on youth…. My question is, do you, as I do, see it as not only foundational to researchers’ work but to that of educators, risk prevention experts, counselors, social workers, and others who work with young people actively engaged in participatory culture? What I’m observing is that this perspective and approach acknowledges the agency that’s essential to efficacy in social and civic engagement in participatory culture – the agency that many young new media users are demonstrating but that is widely feared by the adults in their lives and is broadly challenged in adult circles by notions that young people’s engagement in new media is inconsequential and/or risky. Do Ito, boyd, and Jenkins perceive a growing acceptance of this new sociology in academic circles and beyond, and can it be promoted as a framework for public discussion about youth safety online, where I see little evidence of its acceptance? I’m excited about this topic and the scholars participating. It sounds like people have already suggested some really interesting questions and topics. My question is related to network literacy, social and cultural capital, and class. Broadly speaking, in what ways do offline media production experiences and programs translate to online participatory culture (or not) and vice versa? I’ve spent time in a low-income high school where students are actively producing media in a collaborative peer-learning environment, networking with their local community, and expanding their social networks. Yet, many of these same students are resistant (or even afraid) to participate in online communities wherein they share their creative works. Why do some youth engage in online participatory communities while others, who are actively involved in offline media production, do not? 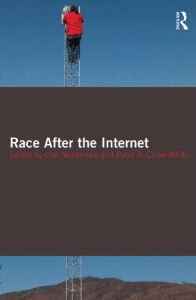 In what ways is (online) participatory culture still shaped by class, ethnicity, language, age, and gender? My personal current research interest in the realm of participatory culture is fanfiction. Though social media have influenced practices of fanfiction writers, the phenomenon has been around for a long time – starting in a non-digital format with the first fanzines around the series Star Trek. It is an intriguing topic that has so far not attracted a large amount of research. I’m interested in power issues in participatory culture. There is no hierarchy or it is (should be in real participatory …) very low. Can we speak about peer power? What could it be? Something to do with dynamics of giving and taking space in participatory actions? Listening, respect, attention; hyperactivity, defacement, passing etc. I’m interested in the point, where participation could really be a game changer for the data driven system. I call it with Paul Celan “Atemwende” – the point, when “the system” don’t like you to be a part of it any more. The difficulty in ‘participating’ in digital culture is the issue of copyright. I would love to know Lawrence Lessig’s thoughts on your book too! It be nice to see a move away from the focus on young people. Helping to create structured societal values, positive framing of these values, resourcefullness to maintain these values, creating traditions (ceremonies, feasts, festivities …) derived from these values, reviewing the applicability and sense of values&traditions,changing/cleanup of the value structure. I like that your method includes an invitation to participate in the conversations defining your project. And it raises for me the issue of methodologies in general and in relation to studying participatory culture. What methodology, or array of methodologies are best suited to analysis of participatory culture? In my work with youth media, I favor participatory action research models that engage youth as coresearchers themselves and am challenged along the way to take stock of the extent to which our research is valuing youth voices in research practice. But even at this level of methodological practice, there are constant reminders that participation is not unconstrained, that there are barriers to participation, particularly among marginalized youth in the urban spaces where many of us do our work. In this regard, I would scholarship on participatory culture to do business with the political economies that inform who participates and to why extent and in what ways participation is valued in the contexts of community and public life. Great input from everybody. I notice with interest that very few of the responses here are submitted by “anonymous” writers. As Alec Couros and Sheri Oberman observed, I too would like to read more about the ways participatory culture challenges our current social, legal, and educational systems. One issue in particular I’ve been grappling with is that of anonymity online. Is there a place for anonymous contributions in a participatory culture? Many of my friends and colleagues believe anonymity is a right enjoyed to ensure free speech. I have problems with anonymity because I believe it devalues scholarship and personal integrity, and often erodes civility in online discourse. 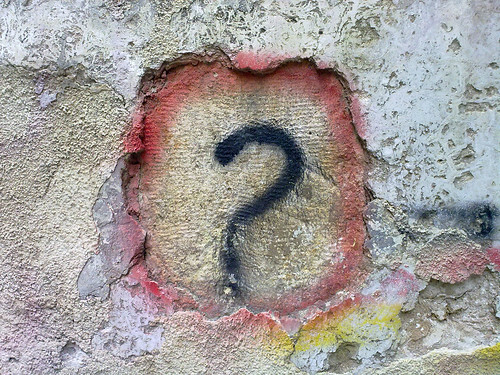 Why is being anonymous in a participatory culture desirable? necessary? revolutionary? valued? Fear of reprimand is often the only reason given in support of the “right” to be anonymous. I’d much prefer to create a society free from fear, than continue the status quo. As Ms. Oberman pointed out, “We need to craft societal systemic vehicles to reflect participatory culture.” I do believe that Creative Commons is a darn good start. Unfortunately, right now in our courts and in our school districts, I see the creation of societal models in support of a participatory culture being squeezed out in favor of corporate ownership of ideas and the means to communicate them – pushing more fearful people into anonymity. I want to be able to trust and support a participatory culture where everyone is free to contribute but I need to know who you are before I can believe you. This is the elephant in the room. I love the term ‘participatory culture’ as it emphasizes what is interesting, challenging, scaring, etc. about the ‘web’, the technical invention of networked computers and the variegated uses we make of them to exchange thoughts and influence each other, that is, be social creatures. Being a researcher of networked learning, the wider cultural context to that matters much to me. Anything that tries to fathom the depths of the influence the ‘web’ has on our culture – as in participatory culture – is useful background for what I am trying to find out: how best to learn formally but even more interestingly informally with social media. Privacy, copyright, the widened, richer notions of befriending, become acquainted, etc., the changes that our learning theories need to undergo, the altered notion of authority (wisdom of the crowd, wisdom of the expert) – all of that needs to be taken into account when talking about networked learning and all of that is part of this culture of partipation (I believe). I am sure you can’t take on all of this topics in equal depths, but since learning and educating are most important ways to ensure cultural transmission, it would be useful to keep into the back of your minds the ways in which the budding culture of transmission will alter learning (and soon enough, vice versa). I’d love to see participatory culture wend its way into the classroom more. We have the tools and the theory, now let’s see it put to use so that every child learns – back of the class, front of the class, and middle. @ Danah and crew – my interests follow Vince’s here. I am curious about youth career development and how youth can steer their own ship with the help of those on the road ahead of them. I have come to see participation as how individuals spend their attention as currency: If the denominations required are too large, or the rewards are not valued, then participation does not occur. My interests and efforts have been directed toward using online tools for participative government. Our system of input to government is clearly not satisfactory to the electorate, as congressional approval ratings show. Those with a financial stake in the implementation of policy can have a disproportionately greater influence on outcome. That is because they have the resources to become aware of and initiate, prioritize, understand, and provide input into policy formation. The average voter often does not become aware of a policy implementation until it adversely affects them. For example (please take this as a non-judgmental observation), the body scanners in airports never had a period of voter comment before being implemented. Here a policy decision was implemented that affects nearly everyone adversely while benefits are questionable, aside from those very few profiting from the sale and use of the scanners. Those few were instrumental in the policy implementation. I believe that any participative culture should not only have adequate “safety” (security, privacy, and identity/anonymity capabilities), but should also provide more equitable rewards for small denominations of attention. In other words, these rewards should include incentives for participation that are not limited to large financial payouts, such as government contracts. The rewards can be the same as those social networks use to increase participation, which include a sense of community, connectedness, information sharing, entertainment, serious games, and making a difference. So, my question is: what can be the incremental rewards for small amounts of attention that can lead to larger investment of attention and greater rewards? What would it mean to bring the concept of ‘consent’ into models of participatory culture? I ask because I am working on this myself with respect to sexting; thinking about about how the production, distribution, and possession of a media object can be consensual or nonconsensual. Looking forward to the conversation and the book. I am interested in better understanding how equity issues, especially economic equity, is atteneded to in the participatory culture scholarship. What critical lenses do each of you use to situate/interrogate the significant differences related to access that frames who can and cannot be admitted into such a culture? I wonder if an ideal “truly participatory culture” is possible only when the majority of participants do not perceive any major disparities (or, hope there are no disparities) in their chances of benefiting from products of their participation? Are participatory cultures only possible among humans, or other animals also? How does the entry of “larger than one person” entities like for-profit corporations, governmental agencies, non-profits affect the individual humans in a participatory culture? I’ll be happy to pose more thoughts, if of use. Understanding participatory culture phenomena is useful given how our planet is in a mix of “global village” consolidation and divergence/competition for resources and clout. Forgive me if this has been posted as I don’t have time to read all the replies. I am interested in how Participatory Culture leads to social action. I think the discourse around what Participatory culture is and how it is different from social media is also warranted. I feel if we understand more about how how Participatory Culture shapes what we do or who we are, then we will be able to use social media in a more constructive way. I can’t wait to read more about this project! I’m interested in research on how public libraries facilitate participatory culture, through everything from citizen participation on library boards to content creation services and labs. In fact–I’m doing my doctoral work on this topic, so I’m very interested to see what you have to say. I am interested in the forms of social, cultural and financial capital that intersect with agency and the ability or lack of ability (due to issues of capital) to literally participate. I am interested in how participatory culture functions in new and burgeoning democracies (think South America, northern Africa and the Middle East)and how western (think American) cultural industries affect agency–and the ability to participate in a transmedia landscape. Due to the collision of cultural industries/capital/agency within a democratic system, how do the messages (stories) become shifted, other and reincorporated into the dominant culture? How, does, in effect (if ever) participatory culture become hegemonic and when does the transmedia process stymie participation and privilege the dominant cultural industries? …to that end…I think about the changes in Facebook and the new promoted user posts. Not only brands but also users can purchase posts, increasing their Edge Rank, the Facebook algorithm that privileges posts and ensures greater reach and a larger audience. I am a direct worker in the cultural industries–working as an Earned Media specialist at an advertising agency. As the social media landscape shifts to a greater emphasis on paid placement (rather than earned, i.e., viral), human agency also shifts and financial capital becomes a more prominent determiner in share of voice…how will that affect democratic expansion? …I go back to my original statement above.